HB Caliente by Sepia - This style is being discontinued and colors are limited. The body wave comes down around you. Where else can you find hair of this quality? The pure beauty of it is amazing, and you know it would look great on you too. It's amazing the things you can do with the HB Caliente by Sepia. With the special human hair blend, you're saving money, yet retaining the immense flexibility. An even mix of human hair, with kanekalon Futura fibers. 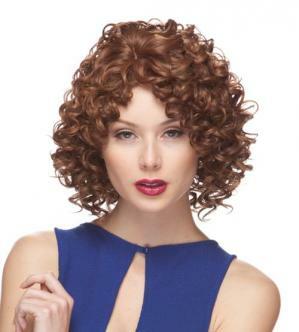 The kanekalon is high heat resistant, meaning you can do anything you want to this wig, and never experience a problem. The human hair adds the soft, real element to your look. Available in a variety of colors. Don't pass up this awesome opportunity to own beautiful hair today.